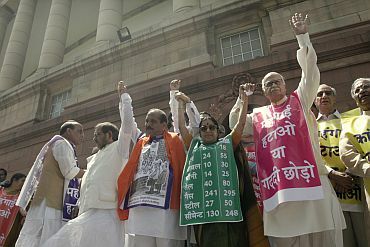 Ahead of Finance Minister Pranab Mukherjee's meeting with opposition parties on Tuesday, Bharatiya Janata Party on Saturday said there would be no dilution in its stand on a Joint Parliamentary Committee probe into the 2G spectrum scam and threatened to disrupt the budget session of Parliament if the demand was not met. "We stick to our demand for a Joint Parliamentary Committee probe into 2G spectrum allocation and other scams and will not allow Parliament to function during the budget session," senior BJP leader Rajnath Singh said addressing a National Democratic Alliance rally at Kanpur. "No matter how much the Congress blames us for disrupting Parliament proceedings and accuses us of harming the interest of the people, we want to tell the nation that by demanding JPC we intend to retrieve the Rs 1.76 lakh crore presumptive loss to the exchequer because of 2G scam," he said. BJP veteran L K Advani, who could not make it to the rally at Kanpur as his aircraft could not land there due to bad weather, told mediapersons in Lucknow that he was hopeful that the government will accept the JPC demand. 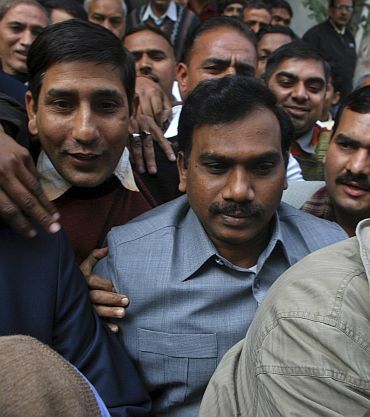 "I am hopeful that when the meeting with opposition parties takes place on February 8, the government will accept our demand for a JPC probe into the 2G spectrum case," he said. Describing as shocking the presumptive loss of Rs 1.76 lakh crore projected by the Comptroller and Auditor General report, Advani said, "When the figures came Prime Minister, who has now admitted A Raja's involvement, was not ready to admit." He said when people asked him whether the United Progressive Alliance would be able to weather the storm over the 2G issue, he told them that this could be a "turning point". Alleging that the promptness to prosecute those involved in corruption was lacking, the NDA chairperson hoped the government, which was initially adamant not to accept JPC demand even if the opposition got united, may now bow to pressure. To a specific question whether the opposition will stall the budget session if JPC demand was not met, Advani said any decision will be taken after seeing the government's reaction. "First let's see what the government has to say on our demand, then we will decide," he said. On the issue of Indian money in foreign banks, the BJP leader said that he first raised the issue in 2008. "When I came to know that Germany was ready to share the names of those having accounts in foreign banks, I wrote to the Prime Minister that India should seek details," he said. "Then when I came to know that some names have come and were not being revealed on the ground of confidentiality, we moved the Supreme Court and said that the government is not telling anything," he said. 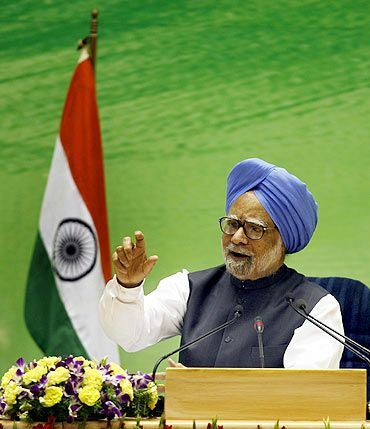 How will Dr Singh save his government? Tell us!